Raw material buyers in the synthetic textile industry disappeared from the market amid expectations of a further fall in prices. Ironically, crude oil prices bounced back to trade at $59.74 a barrel on Wednesday, around 20 per cent from its December low. The sudden spurt in prices prompted producers of man-made fibre and synthetic yarn manufacturers to start placing orders again. Man-made fibres and yarns are made from petrochemicals, which are derivatives of crude oil. Their prices follow the movement in crude oil prices. “A steady crude oil price trend is good for the synthetic textile industry. Raw material purchasers had deferred their purchase orders on expectations of a further decline in crude oil prices and, subsequently, prices of synthetic fibre and yarn. We believe the October-December quarter may not be good in terms of top line and bottom line. The industry may stabilise from the March quarter,” said Om Prakash Lohia, Chairman of Indo Rama Synthetics. With crude oil prices moving up again, synthetic textile manufacturers heaved a sigh of relief, as orders have started flowing in again. 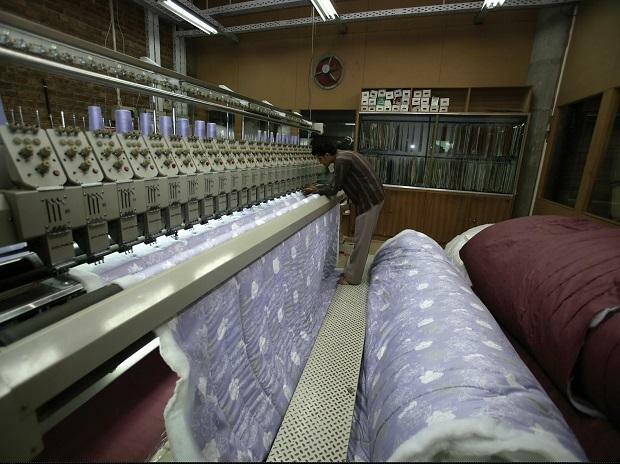 Meanwhile, synthetic textile manufacturers posted mixed results for the quarter ended September. For example, Filatex India reported a net profit of Rs 20.25 crore on a turnover of Rs 718.33 crore from their respectively levels of Rs 20.14 crore and Rs 704.43 crore from June 2018. Indo Rama Synthetics posted a net loss of Rs 32.62 crore on a turnover of Rs 394.41 crore in September, against Rs 29.20 crore net loss on a turnover of Rs 355.54 crore in June. "The impact of volatility in crude oil prices has been nullified by the rising demand of synthetic textile products in India. Polyester is slowly replacing cotton, thereby increasing the production of manmade fibres. Demand for synthetic textiles is rising with rapid urbanisation and low-cost options available in the clothing segment," said Madhu Sudhan Bagheria, Chairman and Managing Director of Filatex India.